Our friends at C.O.P.S. 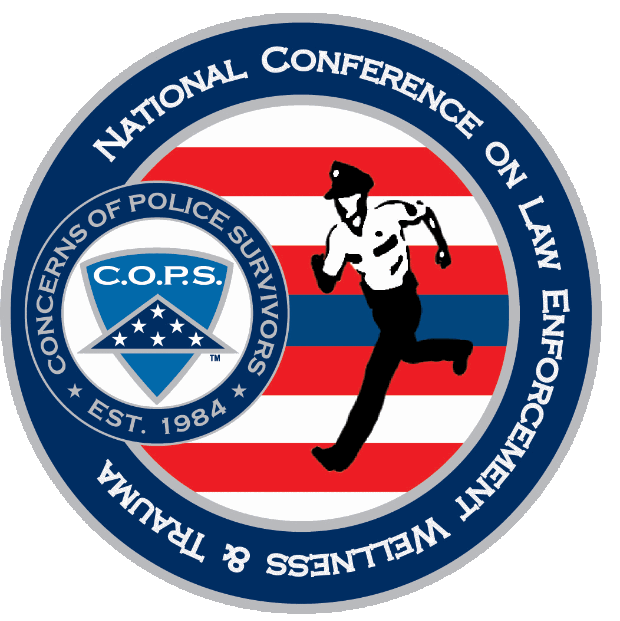 are hosting their National Conference on Law Enforcement Wellness & Trauma from November 10-12th in Grapevine, TX. transportation to/from DFW International Airport. The deadline to reserve your room with the C.O.P.S. discounted rate is Friday, October 20, 2017. The fee to attend is $300 per person. The registration fee covers classes, three meals (two lunches and Law Enforcement Appreciation Night) and networking room. If the participant secures a room through the Host Hotel, then breakfast vouchers will also be provided. C.O.P.S. believes that spouses/significant others play a major role in the overall well-being of law enforcement officer wellness. Spouses and significant others who are attending with a registered participant may attend all classes, meals and events with their officer at a reduced rate of $125. The deadline to register is October 20, 2017. In September 2017, twelve law enforcement officers in the United States lost their lives in the line of duty. Of those, five officers died due to auto-related incidents (two motorcycle crashes, two automobile crashes, and one vehicular assault), three officers died as a result of felonious gunfire, one died from a heart attack and one from a duty-related illness, and two drowned in the rescue and recovery efforts in the aftermath of Hurricane Maria in Puerto Rico. Line of duty deaths this year are down across the board with a 17% decrease in gunfire line of duty deaths and a 5% decrease in auto-related line of duty deaths. The Officer Down Memorial Page extends our sincere condolences to the families, friends, and agencies who lost a loved one to a line of duty death in September 2017. Please take a moment to read the memorials for those officers who made the ultimate sacrifice last month.